Photo: Palms overhead on Koh Tonsay. 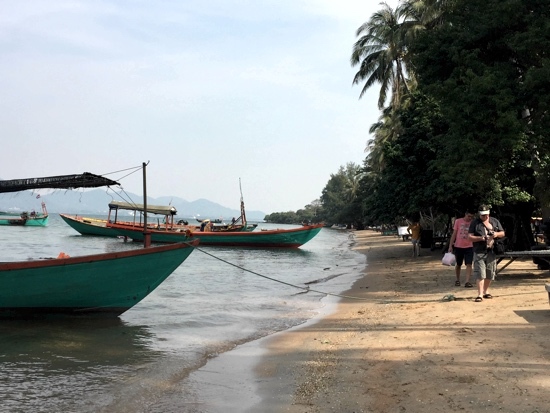 Better known as Rabbit Island, Koh Tonsay is a lovely little island about 25 minutes away from Kep by hired boat, making it one of the most easily accessible of all the islands. It is also one of the least-developed, with no motor vehicles, no mains electricity and few residents, making it an ideal getaway from the grind. Definitely not flashpacking, Koh Tonsay will float your boat if you appreciate a good sunset. 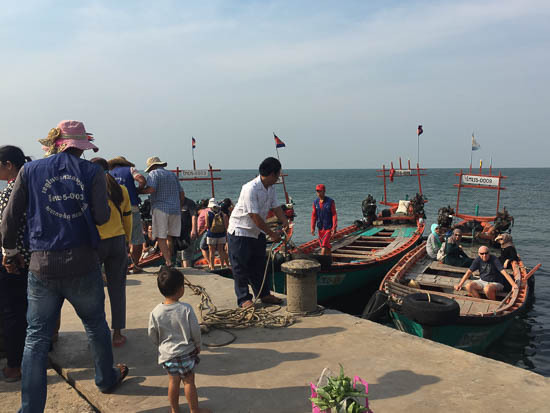 Boats leave the ferry port regularly throughout the day — a return ticket will cost $8 or pay $30 for a boat with enough seating for six to eight people. Travel agencies near the bus stop can organise tuk tuk collections, boat tickets and accommodation. Or just turn up at the jetty in the morning to make your own boat arrangements and find somewhere to sleep when you arrive. Weekends and public holidays get busy and may require booking ahead, but on a normal weekday the island will be beautifully peaceful. The main beach where the boats anchor is about 600 metres long, and lined with coconut palms, hammocks and lazy chairs, a few dozen huts and a handful of fresh seafood joints serving up some outstanding seafood. 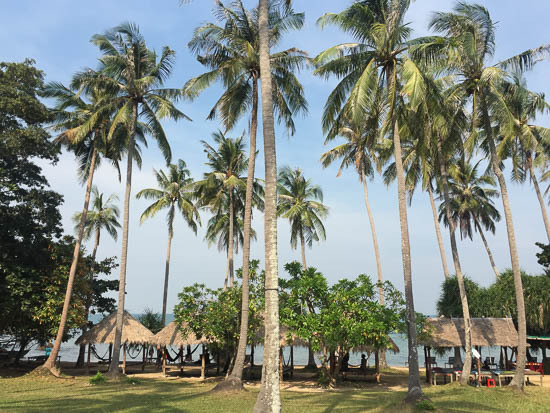 There are eight “resorts”, each with its own beachside restaurant shack and a collection of stilted bungalows arranged around a lawn with coconut palms. Accommodation runs the length of the beach, with a choice of single or duplex huts. The cheapest, at $6, do not have their own bathroom. Pay up to $15 for a sit-down toilet and cold shower, or between $8-$12 for a squat toilet, bucket shower and tap. Forget complementary toothbrushes and air-con — rooms come with a bed, a fan and a mosquito net. And that’s about it. Many nights are quiet, but on weekends and holidays all it takes is a group of young Cambodians with a karaoke machine to change the vibe. Mostly, though, the beach is uncrowded. 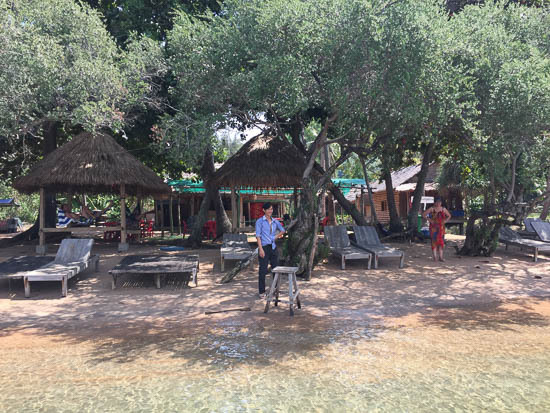 We found the owners at the first and fourth group of bungalows to be the most helpful and forthcoming when we spoke to them, especially Tong at Chay Sokheng (the fourth resort along). 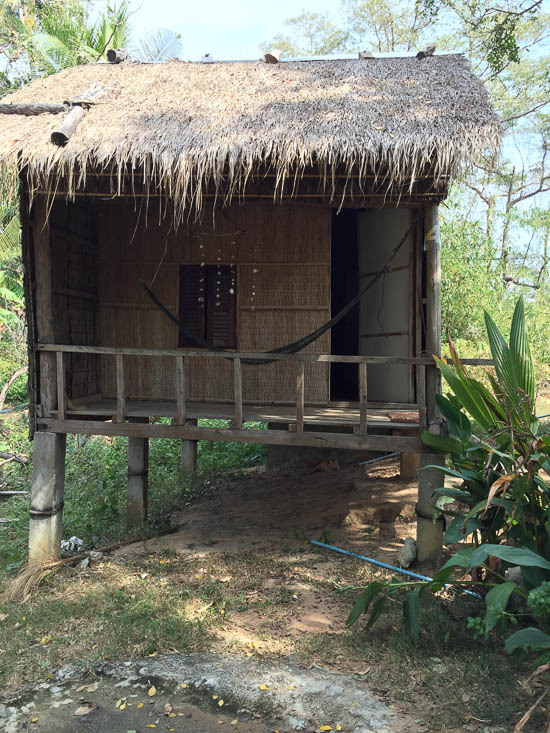 Reservations are unlikely to be required here, but if you’re feeling an excess of caution, you could contact Khim Vouch Lay on (077) 288 844 (the first group of bungalows), or Chay Sokheng on (097) 886 9123. This is Tong. We love Tong. Lights go out at 22:00, when the generators are switched off, so don’t forget to bring a torch for those midnight toilet trips. There are opportunities for walks to other little bays on the island and the swimming straight off the main beach is excellent. You can hike around the entire island in about three hours. If you want to get more active, you’re on a fishing village island remember, so look into trying to rustle up a fishing trip — either through the boatman who brought you in the first place, or else through just about anybody else on the island. Snorkels and masks are available to hire for $1 per day and plenty of colourful fish swim in the warm shallow water. But then, you do wake up and walk straight out to this. It’s also worth keeping an eye out for occasional jellyfish and spiky sea anemones that will spoil your fun (although your friends will probably love an opportunity to try out pee-related first aid remedies). The beach on Koh Pos. 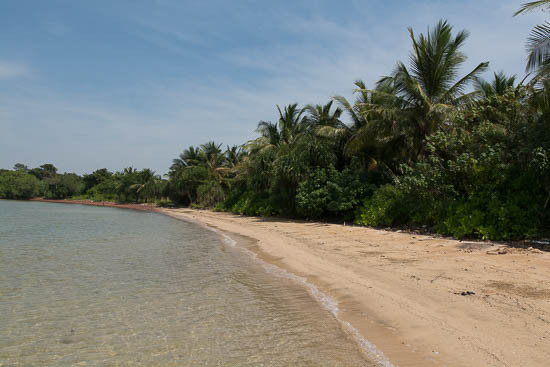 You can also head out to Koh Svay (Mango Island) or Koh Pos (Snake Island). Koh Pos has a white sandy beach flanked by a small Cambodian fishing village. If you want to escape the crowds on Koh Tonsay, which does get busy, this is a nice retreat. It is, like many Cambodian beaches, quite litter-strewn however. You can hire snorkelling gear on Koh Tonsay to bring along, and we’re told that the snorkelling here is lovely. Koh Svay’s charms are less apparent. A mango orchard (hence the name!) climbs up the small hill from the top of which you can get some nice views of Kep. Other than that, we’re not really sure why you’d go. 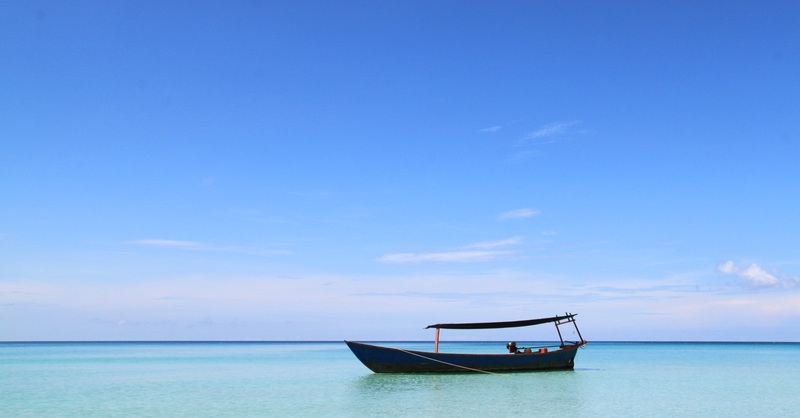 You can get to both from Koh Tonsay for $30 per boat, or from the mainland for $50 per boat. Last updated on 24th February, 2016. Planning on riding a scooter in Koh Tonsay? Please read this. 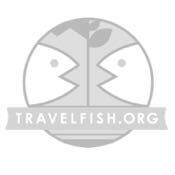 Use the above map to find specific destinations in and around Koh Tonsay which are listed on Travelfish. Bed icons indicate a guesthouse, hostel or hotel, the knife and fork is an eatery or bar and the four-way circular thingy marks sights, attractions and other points of interest. Click on any icon for a short pop-up and a direct link to the page for that spot. If you are in the area, use the teardrop icon near the top left to show your position on the map (you'll need to allow position sharing for this last feature to work).